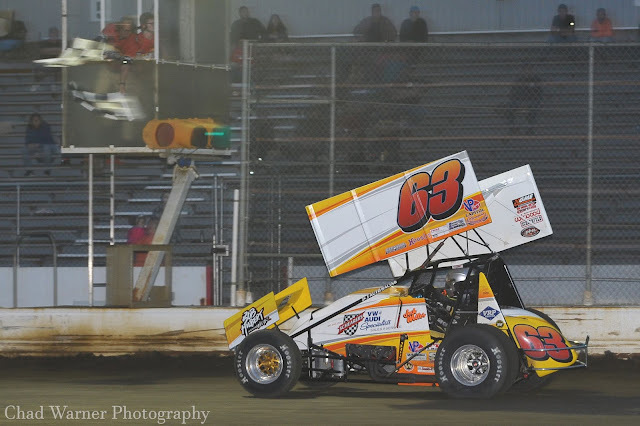 BRIDGEPORT, NEW JERSEY – The Capitol Renegade United Racing Club officially kicked off its 72nd season Sunday at Bridgeport Speedway. And the 2018 champion, Josh Weller, carried the momentum from last season into the day’s event, picking up his first win of the season in the opening day race. Weller started on the outside pole for the 25-lap feature next to polesitter Chris Allen Jr. Weller grabbed the early lead headed into Turn 1 with Steve Buckwalter, Allen, Troy Betts and Chad Layton falling in line behind him. The top five spaced themselves out before a caution was thrown on Lap 8 after Ryan Quackenbush, the 2018 URC Rookie of the Year, grazed the wall along the backstretch. His machine was pushed back to the pit area. Weller chose the outside lane for the restart, driving out of Turn 2 with the race lead once again, maintaining a comfortable distance between himself and Layton, who had worked his way up to second. Weller had control of an impressive lead when a caution came out for the No. 39 of Ryan Watt. However, the yellow turned to a red as smoke poured from the No. 47 of Adam Carberry in Turns 1 and 2 before flames erupted from the car. Carberry was ok and both cars were pushed back to the pit area. Weller once again chose the top lane for the restart, sharing the front row with Layton and followed by Lucas Wolfe, Jason Schultz, Curt Michael and Betts. Weller’s No. 63 maintained control of the lead on the restart as he went low in Turns 1 and 2, but this time Layton stayed close behind. He showed Weller his nose down in Turns 3 and 4 before trying again in 1 and 2 before Weller motored away again. “We were having a problem with our motor restarting, so once we got on the frontstretch we were good, but I needed to get through the corner to get going,” Weller explained. The final caution of the evening was thrown on Lap 24 for Bill Unglert, who slowed on the backstretch and was pushed behind the wall. Weller held his line on the final green-white-checkered restart to claim the win in the first URC race of the season. Weller was joined in the top five by Layton, Schultz, Michael and Wolfe.